I started playing the Secret of Monkey Island for XBLA. I actually bought it when it when it was on sale over a year ago. It’s a little less surprising that it took me so long to try it because historically the adventure game genre has bored me to tears. 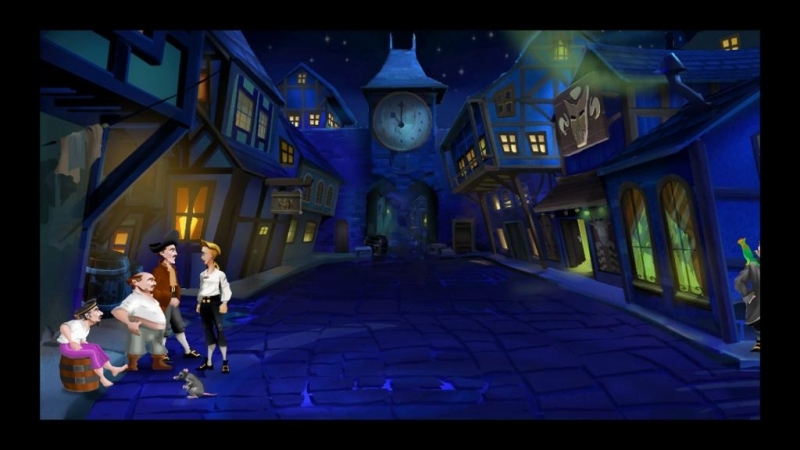 Even though Monkey Island is definitely a 'click everywhere' adventure game like any other, it luckily has a lot of charm and humor (mostly because of the Pirate theme and Tim Schafer’s writing). So I can see myself playing this to completion… with the help of a walkthrough. The game is probably the freshest gaming experience I've had in long while. For a game that lacks gameplay in a manner of speaking, it's amazing to play a game that gets by on merely humor and clever ideas - like swordfights where the battle consists of using verbal insults! I'm enjoying the game enough that I already snagged a cheap copy of Escape from Monkey Island for PS2 on ebay. I’m also looking forward to the other sequels. And hopefully it won’t take me a year to play each one! + With both Psychonauts 2 and their new adventure game seemingly underway, last week was an exciting time to be a Double Fine fan. + I finished Deus Ex: Human Revolution - The Missing Link. The DLC itself did little to add to main game, but it does seem to clearly set up for a sequel. + I finally got that Pro-Guitar for Rock Band 3 that I wanted a year ago. It’s tough, but now I will finally be able to check off "Try to learn guitar" from the bucket list.